As the offseason ramps up for the San Jose Sharks, there are a few less covered subjects deserving of greater discussion. We’ll start with the three regarding defense and defensemen. A new franchise needs a player who sets proper examples. They’ll need a captain, someone who is accomplished, capable of leading a team and helping younger players learn the proper way to develop as professionals. Martin won’t be the only player who fits this ‘leadership plus role model’ description, but he’ll be among the better choices Vegas has. Further, Vegas needs to meet the league minimum salary, which means at least a few expensive contracts. There will be expensive underachievers available in the expansion draft. Martin, though expensive, is not an underachiever. He’s still a good player, just on the older side. When the Sharks began their existence in the NHL, they went after a similar veteran player. A respected defenseman in the late stages of a very good career. The Sharks wanted a captain and they got him. The person they got is Doug Wilson, now the team’s general manager. Will Vegas make a similar move? I’d be surprised if they don’t. Martin will be one of a handful of good choices for the role. If Vegas takes this path, selecting an older player with a healthy contract for the role of captain, they may get a bonus. San Jose and other teams with similar issues may try to entice Vegas by offering a draft pick for a specific player selection. 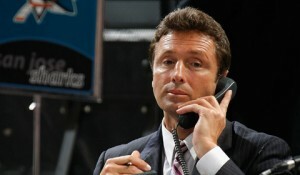 The Sharks executive who would entice Vegas to consider this? Doug Wilson. When I look at what has worked for San Jose in the past two seasons, one area jumps out. The best stories have revolved around the defense. 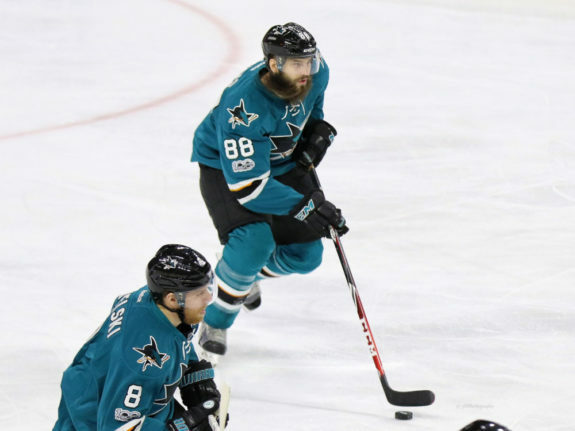 Whether it is the transformation of Brent Burns’ game or the tremendous shot suppression or the strong team discipline to stay out of the penalty box, the defense has been good. The man who coaches the defense is Bob Boughner. He’s being considered for NHL head coaching jobs. Boughner thinks he is ready and there is plenty of evidence to support the idea. The areas where San Jose had their major struggles included time management of high mileage players, the power play, face-offs and the starting goaltender. Boughner was in charge of none of these. He will have plenty of competition for a head coaching spot, so it is likely he’ll stay with San Jose. If Boughner gets hired by another team, however, the Sharks will lose the most valuable member of their coaching staff. Sharks fans seem to be under a misconception. I’ve seen many comments, even some from other Sharks writers, that say the Sharks lack blue line scoring after Brent Burns. The facts don’t bear this out. Few teams have multiple high-scoring defensemen. Scoring by defensemen averaged about 34 goals per team. Across the league, 23 of the 30 teams had a least one defenseman score double-digit goals and the average number of goals scored by the top defenseman was 12. Exclude the top scoring dman from each team, and, on average, there are only 22 goals from the rest of the defensive roster. So let’s compare defensive goal scoring without including the top scorer from each team. This removes Burns from the San Jose totals and the top scoring counterpart from the other teams. Teams averaged 22 goals for the rest of the defensive group and the comparable figure for the Sharks defensemen is 20 goals. A tad below average, but not much to get upset about. In 2015-16, the same group of players scored 26 goals, which would have been eighth best this season. Take this a step further, Burns dominated power play time among Sharks defenseman, as he was the only defenseman on the top unit. 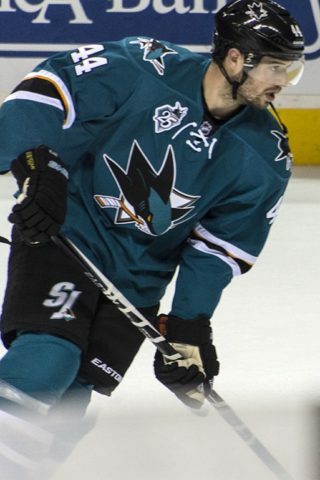 At season’s end, he had a staggering 49% of the power play ice time among Sharks defensemen. The fairest comparison is the number of goals scored by dmen at even strength, after subtracting out each team’s top defensive even-strength goal scorer. The Sharks’ defensemen (other than Burns), scored 18 even strength goals. Meanwhile, the league average, excluding the top goal scorer from each team is 18 even strength goals. Now let’s ask the question: Is secondary scoring from the defense important? These are the top teams in even-strength goal scoring once the top defenseman was removed from the group: The New York Islanders and Philadelphia Flyers led the league (26), followed by the Calgary Flames (25), the Columbus Blue Jackets (24), the New York Rangers (23) and Florida Panthers (22). Four of these teams didn’t win a playoff game while the fifth won just one game. Of this group, only the Rangers managed to win a playoff series, and it was just one series. Now, let’s see how the league’s final four compared with the Sharks’ 18 goals. The Ottawa Senators had 15, the Pittsburgh Penguins had 18 while the Anaheim Ducks and Nashville Predators had 19. The Sharks’ secondary scoring from the blue line is league average and essentially identical to the league’s final four teams. Despite what some believe, this is clearly not a problem.